Jean de La Fontaine (July 8, 1621, ChÃ¢teau-Thierry â€“ April 13, 1695) was the most famous French fabulist and one of the most widely read French poets of the 17th century. While he did not hesitate to borrow freely from other writers, both ancient and modern, Jean de La Fontaine nevertheless created a style and a poetic universe at once personal and universal, peculiarly his own and thus inimitable, but also accessible to all. He is perhaps the greatest lyric poet of the 17th century in France. Though he is best known for the Fables, they are but a small part of his writings. He also wrote a number of licentious tales in verse, many occasional pieces, and a long romance; he tried his hand at elegy and fantasy, at epigram and comedy. Almost everything he wrote is shot through with personal reflections and graceful ironies. 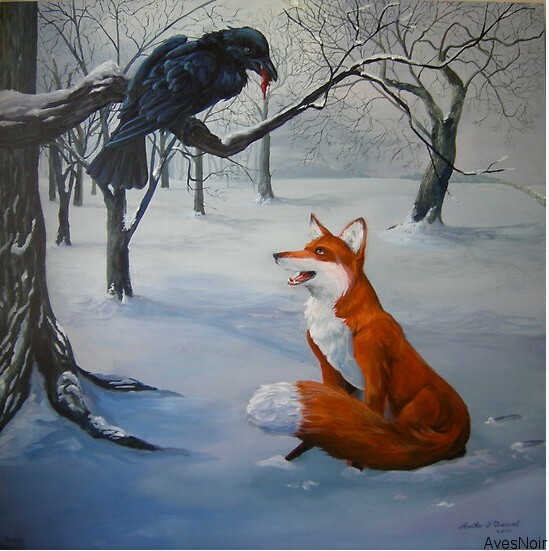 Le Corbeau et le Renard, or the Crowand the Fox, is perhaps one of the most prolific fables to have been borrowed from and reinvented through the centuries since Jean de La Fontaine’s death. It has been illustrated and translated hundreds of times, and even appeared in a series of American cartoons and comic books between 1941 and 1949. 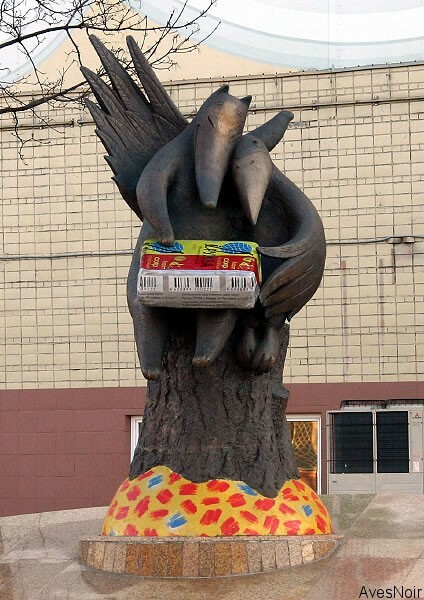 In the fable a crow has found a piece of cheese and retired to a branch to eat it. 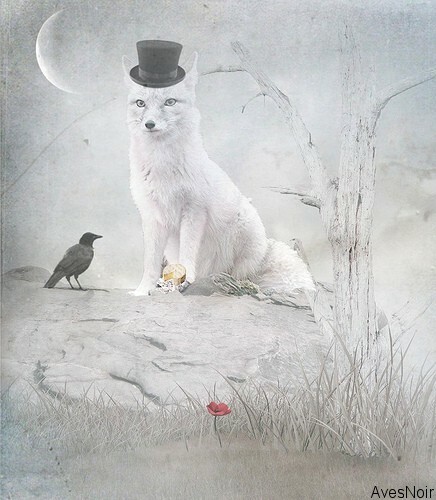 A fox, wanting the cheese for himself, flatters the crow, calling it beautiful and wondering whether its voice is as sweet to match. 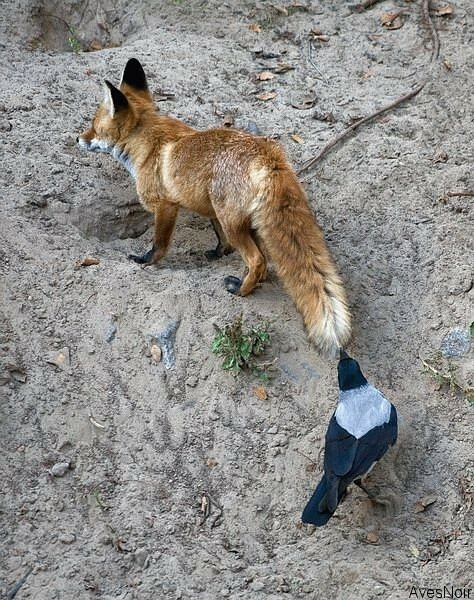 When the crow lets out a caw, the cheese falls and is devoured by the fox. In the original by Aesop, the crow is holding a piece of flesh. “Flatterers thrive on fools’ credulity. A very early Indian version exists in the Buddhist scriptures as the Jambhu-Khadaka-Jataka. In this a jackal flatters the crow’s voice as it is feeding in a rose-apple tree. The crow replies that it requires nobility to discover the same in others and shakes down some fruit for the jackal to eat as a reward. ‘Mister Crow, good day to you. The moral of this story? According to the original by Aesop, it is to never trust a flatterer. The below statue pays earliest homage to Jean de La Fontaine in Paris. Every French school child has grown up with his stories, usually with a moral, similar to Aesop or Phaedrus. This statue is located near La Muette – Auteuil, and is a fine tribute to this former member of the AcadÃ©mie FranÃ§aise. 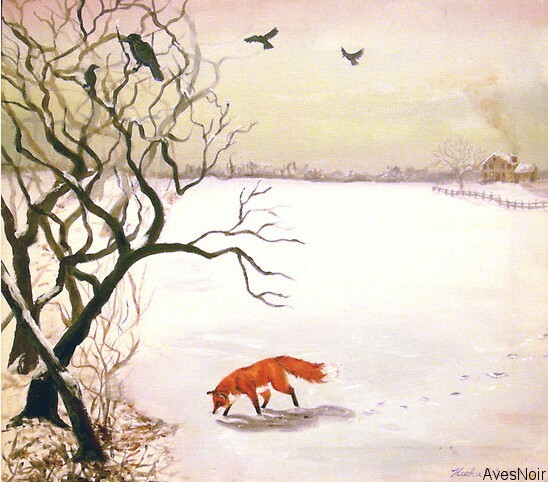 Visit our Fox and the Crow gallery to see how diverse illustration of this tale has been over the last 400 years.